Sydney is Australia’s largest and most cosmopolitan city. It boasts some of the most photographed landmarks in the world, a wonderland of national parks, forest mountains, and historic riverside towns, and is also a bit of an exhibitionist. Sun-blazed beaches stretch the length of the famous harbor opening up into the Pacific, and glittering views of an impressive city skyline once the sun goes down. The following is a 5 day itinerary for making the best out of Australia’s favorite city. To explore the surrounds, car hire in Sydney is easy to organize, and you can compare prices and book via companies like VroomVroomVroom. A guide to the top hotels in Sydney can be found at LuxuryHotelsGuides.com. Kick off your first day in Sydney with a self guided walking tour starting at Circular Quay. Here you can inspect the iconic Harbor bridge up close, and stroll through the historic Rocks District towards the Opera House. Then walk through Sydney Royal Botanic Gardens, enter Sydney’s city centre, and finish your day in Darling Harbor. There are a number of museums along your way, including Museum of Contemporary Art, the Sydney Museum, and once you reach Darling Harbor, the Powerhouse Museum and Australian National Maritime Museum. The harbor is also home to Sydney’s IMAX Theatre, Sydney Aquarium, Wildlife Sydney Zoo and Madam Tussads. For tickets to attractions, monuments, museums and a Sydney CityPass, find the best deals on things to do in Sydney on Ceetiz – click here to view all discounts now. Taking a cruise on Sydney Harbor should be an essential part of any Australian itinerary – Sydney is, after all, a harbor city. 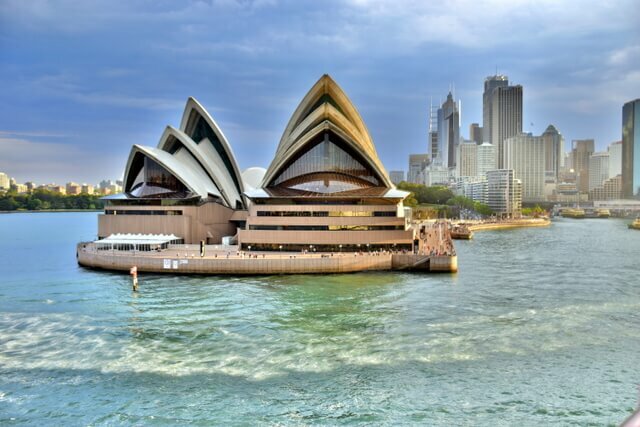 Numerous cruises are available and travelers can choose between sightseeing cruises, a dinner cruise, a dance cruise, or choose from the multitude of ferries which operate out of Circular Quay to a number of destinations within greater Sydney. How to do it: To make the most of your visit, you can set sail on an authentic sailing boat to enjoy a dinner cruise in an exceptional atmospere! Departing from the quay of The Rocks, enjoy a 2-hour cruise in Sydney Harbour, and admire a magnificent sunset over the city and its famous sights such as the Sydney Opera House. You can book in here! Cross the harbor to Manly or head to Watsons Bay for phenomenal seafood. A ferry to Manly is a great way to spend your day – home to Shelly Beach which is one of Sydneys best spots for snorkeling. You can also Navigate to Cockatoo Island – a historic island now a haunted naval storage facility. The island provides stunning views overlooking Sydney Harbour and is home to the Island bar, famous for its tropical cocktails and wood-fired pizza. Spend your day taking in breathtaking views of the city. Head to the summit of ‘Sydney Tower Eye’ which offers views across the city to the Pacific Ocean, as well as the Blue Mountains in the west. For those feeling daring, the Sydney Skywalk experience is a moving, glass-floored viewing platform which sits at the top of the Tower. Book in to climb the Sydney Harbor Bridge – not only is the climb incredibly adventurous and will keep your adrenalin pumping, but you’re greeted with spectacular views over Sydney once at the top. The bridge climb is relatively expensive – for those traveling on a budget, crossing the bridge on foot is free and offers just as spectacular views and photo opportunities. Sydney Harbour YHA is situated in Sydney and offers complimentary Wi-Fi. With views of the Sydney Harbour Bridge and the Sydney Opera House, the hostel also provides exclusive amenities and services, including a rooftop terrace. Situated close to Wynyard Railway Station, this historic bed and breakfast is a convenient base for those wanting to discover Sydney and its surrounds. It is set in the area’s popular nightlife district, about a five-minute walk from The Rocks. 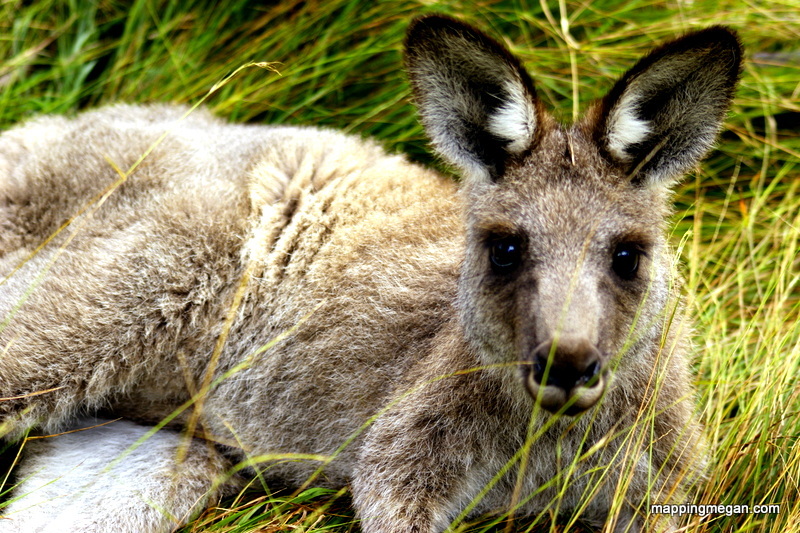 Australia is known for having unusual wildlife, and Australian animals are unlike any found elsewhere in the world! From kangaroos and koalas, to platypi (platypus), Tasmanian devils and wombats – Australia has a huge range of wonderful wildlife and exotic species which provoke a sense of wonder and awe throughout the rest of the world. Make sure you get to see them up close! Taronga Zoo is just a short ferry ride across the harbour from Circular Quay. Australia’s most famous zoo, visitors may marvel at thousands of exotic and native Australian animals. An adult ZooPass (includes the fare of the ferry from Circular Quay) is $45 – and those who don’t want to leave can sleep over! Luxury safari tents with after-hour adventures start at $225 for the night. Visit Featherdale wildlife park in Sydney’s west or Wild Life Sydney at Darling Harbour for other Australian wildlife encounters. Spend your last day relaxing on Sydney’s most iconic beaches. Particularly in the warmer months, from November – March, Sydney’s beaches are the place to be. Opportunities to partake in water sports are ample – go swimming, surfing, water skiing or simply laze in the sun and tan. Bondi Beach is Sydney’s most famous – glittering sapphire water, fabulous waves, golden sand; Bondi epitomizes sun, sand and surf. After a 2 hour surf lesson why not take in the spectacular views of Bondi’s sandstone cliffs and coves and complete the Bondi-Bronte walk. This walk is a 1 hour, 2.5km stroll. You can’t get closer to the beach than by staying at Mad Monkey Hostel Coogee Beach. This is the first Mad Monkey hostel in Australia, located steps from Coogee Beach, and is the perfect location for the famous Coogee to Bondi Coastal Walk. They offer apartment style dorms and private rooms, with amenities which include an onsite bar and restaurant, shared kitchen facilities, live events, and surf equipment rentals. QT Bondi provides a comfortable setting when in Sydney. A short walk from Sculpture by the Sea, it offers comfortable rooms equipped with luxury linen, a coffee maker and a kitchenette. Decided to miss your flight home? There’s more to do! For travelers with more time to spare in Sydney, great daytrip options are available to the north, south and west of the city. Try the Blue Mountains in the West or the Hunter Valley wine region in the North. This article is sponsored by Hotspot Shield VPN, the world’s most trusted app to keep your data safe while traveling. Excellent article on what to see in Sydney Megan, and almost regard Sydney as our second home. It is a beautiful city with so much to see and do, and as you know we were in Australia and in Sydney on Australia Day, when the Aussies certainly know how to celebrate and put on a party all over the city. This is the way it should be as Australia is a beautiful country and they have much to celebrate. Thanks Murray! Yes, if there’s one thing we Australian’s know how to do it’s celebrate – and we come out in full force for Australia Day! I imagine Sydney would have been a great place to be this year – they always go all out! Not a bad introduction to Australia for tourists and travelers!! Great tips Megan, you’ve peaked my curiousity about the “Luxery” tents at the zoo. I’ve never heard of that before. I’ll be keeping this post in my Pintrest bucket list for future reference. We have the overnight Toronga Experience on our bucket list as well! We gave the experience to friends for their anniversary and they’ve been raving about it ever since! What great tips – a best of! :) I can’t wait to visit. You’ll have an absolute blast – Sydney is an amazing city! You’ll never want to leave! It was tough to leave Sydney a couple of days ago. It is clean, it is organized, it is scenic. The only thing I don’t miss is the prices. But it’s not impossible to enjoy Sydney on a shoestring, either. There’s a twice-daily free walking tour. The return ferry to Watsons Bay is a low-cost scenic option to cruises. The free walk across the Harbour Bridge that you mention is also awesome. I saw assorted wildlife in the natural environment outside of Sydney, including in Blue Mountains, which are spectacular, you’re right. Beaches near Jervis Bay are pretty great if you skip Bondi. The Botanic Garden is also free, as are the Museums of Modern Art, of New South Wales, and of The Rocks. As a fan of microbrews, I really enjoyed craft beers at Lord Nelson (not free, but surprisingly cheaper compared to most places downtown). I definitely don’t miss the prices either – Australia is expensive, but as you mentioned, there is still a lot of opportunity to experience the city on a budget. It sounds like you had an absolutely phenomenal trip! Love the Blue Mountains – I don’t know which I love more – Sydney or it’s surrounds! NSW definitely has a lot going for it! I lived in Canberra, 3 hours out of Sydney, for 10 years and I still haven’t scratched the surface either – you could spend a lifetime!! Cruising the harbor is my favorite! I missed out on the wild life which I will see the next time I visit Sydney. It is an exciting city! You’ll definitely have to head back to see the wildlife – sounds like a great excuse for another holiday to me! Hi there – it depends which country you are from. Australia has an ETA (Electronic Travel Authorization) visa which is available for citizens of 30 countries where you can apply online for a tourist visa. If you are not from one of the countries which fall under this agreement you will need to apply for a tourism visa at the closest Australian embassy. Boxing day sales are the equivalent to America’s Black Friday sales – lol I’m glad you survived!! Sydney over New Years is equally as mad, but it’s absolutely amazing and there’s no better place to be. The fireworks Sydney puts on every NY’s is spectacular and one you’ll never forget! Definitely enough going on to not have to repeat :) Happy travels! Great summary of the fun things to do in Sydney! You hit on the wide range of fun to be had from urban landscapes to outdoor wildlife. I had a lot of there too! Glad you enjoyed it John – Sydney really is so diverse, there’s just so much to see and do; 5 days is even cramming it all in lol! Will head over and check out your site – looks like you’ve got a lot of great photos there! This makes me want to go home so badly! I’m from Melbourne but always loved a weekend (or longer!) in Sydney. Great tips! I’ll have to refer back to this when I’m home again! Oh cool! I didn’t know Sydney Harbor Bridge Climb opens at night. I thought they only open during the day for tourists. I have been in Sydney for a few times and every time I was there, I always visited Darling Harbor. They have firework every Saturday night. Beautiful restaurants around and great walk to Chinese Garden and China town nearby. If you get back to Sydney I highly recommend the bridge climb at night…and if you climb on a Saturday maybe you can combine the skyline view with some of those fireworks!! I love this post! It gave me some great ideas on how to explore sydney on a budget! Hi Katie, glad we could set you up with some fab Sydney budget ideas :) Enjoy! Hey! I absolutely love this! My favourite place you mentioned is definitely Bondi Beach – I live there! Thanks for the advice – can’t wait to revisit Sydney again soon! Glad you enjoyed the post Sasha! Bondi beach is definitely a favorite, we personally love the Bondi – Bronte walk. What a fab location to have as your backyard! Thanks for the great post. Really interesting. 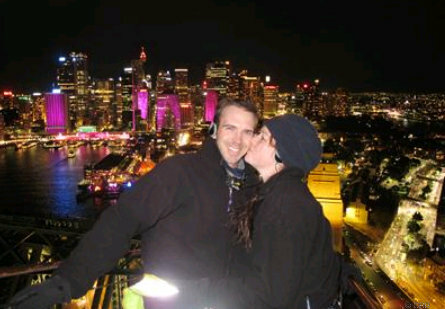 Just wanna say, Out of all tours One of the best tour i had in sydney is bridge climb. You’re welcome Oliver – so happy to hear you enjoyed the bridge climb. I agree – one of the best experiences the city has to offer :) Merry Christmas! Sydney has a variety of attractions and sights to see, including the very famous Bondi and Manly beaches, it’s easy to see why people come here and stay a while—try to stay at least a week if you can. There is a lot to do in Sydney. It’s worth a long stay. Thanks Megan! Totally agree with that re trying to stay for at least a week. We’re lucky to live closeby in Canberra (only 3 hours drive), and we still haven’t seen everything there is to offer … so much to do :D! I completely agree with your thought. Sydney has a huge places to sightseeing and it’s worth a long stay. Absolutely – many places to see that sometimes it’s hard to fit everything into even 5 days! Definitely the best things to do in Sydney if you only have a few days. Luna Park and St Mary’s Cathedral can be added to the list. The prices that you give us are they the exact price or an estimation? Hi Megan, beautiful experienced you had. I also post about How to do vacation in Perth, Australia with Free. I am im awe of the magnificense and grandness of Australia, specifically Sydney. I’m very much interested in experiencing Australian wildlife. I’ve always wanted to see an actual Tasmanian Devil, and a kangaroo, of course. Super article Megan. Can vouch for Taronga Zoo – stunning views of Sydney and a great way to see some of the harbour! Thanks Greg! Taronga Zoo is one of our favorites too … if not for the wildlife experience, but also for the views! Glad you enjoyed it! Sydney has some fabulous spots indeed! I dream of visiting Australia – and Sydney in special. They look simply amazing – and we have some friends who moved there and they can’t stop praising everything there ;) Great itinerary! Hope you have the chance to travel soon! Visiting friends is a fantastic excuse :D And means you have a local tour guide all set! Sydney has one of the most beautiful natural harbours in the world. First timers in the city should make it a point to ad in their itinerary to schedule to cruise the harbour to have a glimpse of the beautiful city on water. Agree with you John :) Thanks for stopping by! Some great suggestions here. For families with young children, Darling Harbour is a must. There’s a great playground, with lots of room to run around, and looking at the boats is always fun. Best of all, there are plenty of cafes in the area, so Mum and Dad can grab a coffee while the little ones burn off all that energy. Interesting tours Meg you shared in your post. For 5 days, you can go around the Sydney. How much more if you explore the whole country. I wonder how many weeks or months it needed to visit atleast the top 2o tourist spots in Australia by a car. It would be interesting idea. I am very afraid with the heights, but the walking tours I don’t want to miss. We are heading out to Sydney this coming early July by a car. Touring Sydney cannot complete with out cruising around the harbor. We all love Sydney’s view. That’s our country neighbors, We are Indonesia. Glad you’re a Sydney fan too! Thanks Hamraj – I’m glad that the post was helpful for you :) Hope you have the chance to visit Sydney soon! thanks for all the suggestions Megan! Definitely want to climb the Sydney Harbor Bridge once I’ll be in Sydney!! If you’re looking for high-quality Airbnb properties in Sydney, look out for Cushie properties listed in Airbnb. Cushie manage heaps of properties around Sydney and have a high-standard of cleanliness and service! You just got me super excited planning my trip to Sydney! !! There are some really cool beaches in this country. You can learn to surf, kiteboard or scuba dive. The best place for water activity! Great article, simple and easy to follow! Glad you enjoyed the itinerary! Thank for posting this online, really helpful. I will be visiting Sydney in May and will include some visit to the many street markets, farmers market, etc. that usually happen over the weekend. Do you have recommendation on which one would be best to visit. I love trinkets, knick-knacks, and local produce. Hi Julia, thanks for reaching out :) Paddy’s Markets is one of the best in Sydney – there are two locations, one in Haymarket and one in Flemington (check out the opening times for each here: https://paddysmarket.com.au/opening-times/) and it’s been running for 150 years, so definitely the most historic. You’ve got food, fashion, knock-offs, and tourist souvenirs – literally everything here – it’s Sydney’s biggest, and has an awesome market atmosphere. Agreed! I followed this along with this post and it was helpful. Looking forward to my next trip to Australia to experience it like a local and following your travels! I’m glad it was helpful Joseph :) Have a wonderful time in Sydney! Amazing Sydney! Thanks for sharing. You’re welcome – enjoy your time in Sydney! A really great article, so much information about the interesting must-see spots in the city. I’m planning on staying in the CBD area but your article, helped me out a lot with my plans. Thanks Molly, I’m glad it was helpful for you. Have an amazing upcoming trip! Very useful tips Meg. I can’t wait to visit. Thanks Arisha, I hope you enjoy your time in Sydney! I’m currently in Sydney and folliwng some steps of your recommendations. It’s really usefull!!! Thanks Megan. There is only one thing I like to say. Don’t book any tour through CEETIZ as advertisement pop-up in your blog. I booked an Excursion to the Blue Moutains & Visit to the Jenolan Caves departing from Sydney day tour on 2019/2/16. The confirmation said the meeting point was King Street Wharf -Lime St. and actually was Sydney Aquarium – 1 Wheat Rd. Fortunately I managed to catch the bus the last minute. The tour though is fatastic for lazy visitors like us. So glad you did make your tour though! The Blue Moutains & Jenolan Caves is an incredible region! Thanks Priya! So glad the itinerary suggestions were helpful for you :) Happy travels. 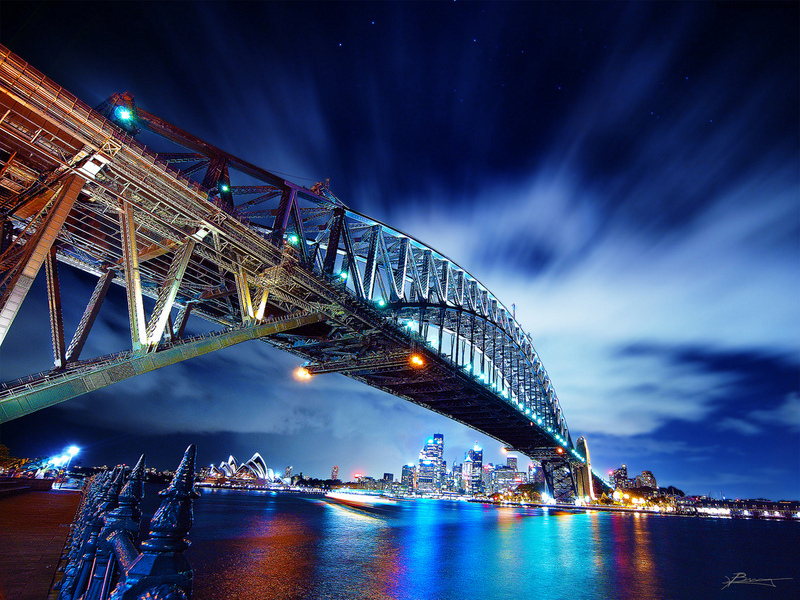 Sydney is one of the global landmark of Australia; the view of the Sydney Harbor Bridge along with Opera House is bliss. Though it is a big city; it has lot of amazing things to do and lot of delicious eateries to hangout with friends. It has been more than 30 years I am living in Sydney and still can’t get of it. Every time I read blogs on Sydney; it is a good feel. I am a migration agent in Australia and helps people in moving in and out of this country. I will be glad to help anyone who comes here reading this. Always great to hear from a Sydney local Kim, thanks for sharing your love of the city! Thank you for sharing!! My husband and I are planning a trip to the Philippines and just discovered that adding 4 days in Sydney will make the flights $600 cheaper. I’ve never been to Australia and don’t by any means think that 4 days would be enough time to see everything, but do you think it would be a reasonable amount of time to see Sydney? We would be there in July, so winter. We love any opportunity to see wildlife but don’t really love zoos. We prefer to see animals in their natural habitat. We also love scuba diving, but I worry that it wouldn’t be warm enough – and Sydney isn’t really known for awesome diving anyway. What do you think? You’re welcome Heather, I’m glad we could help :) I think 4 days is a really good introduction to Sydney – it won’t be warm enough for scuba diving, so maybe just stick to exploring the city and its surrounds. There’s more than enough to do so you definitely won’t be bored! If you enjoy wildlife, being a big city, Sydney is largely zoos and wildlife parks as opposed to having a great deal of opportunity to see them in their natural habitat but you can try your luck with Euroka Clearing at Glenbrook, which is in the Blue Mountains and often sees eastern grey kangaroos. That’s about a 2.5 hour drive, so you would incorporate it into a day trip to the Blue Mountains. Featherdale Wildlife Park is only 45 minutes out, but still pretty much a zoo.